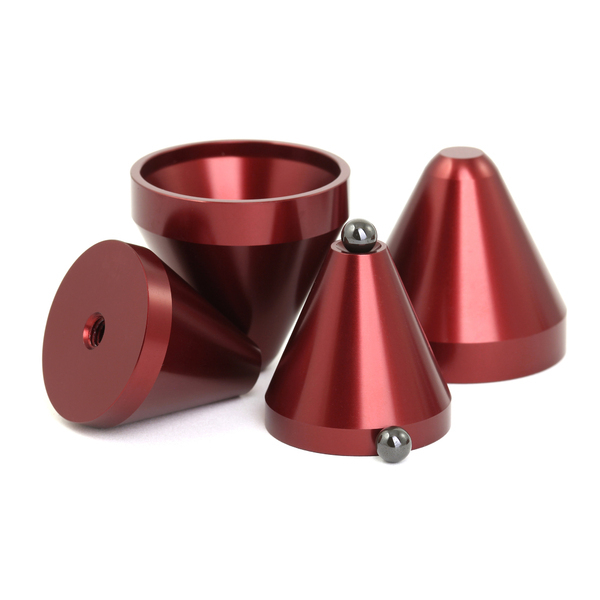 Cold Ray's mounting cones are designed for ultimate vibration damping in acoustic systems and players, as well as reducing floor surface resonance. A little ball spins between inner and outer cones, redirecting kinetic force vectors and compensating vibrations in all directions. Utilization of this principle allows Cold Ray to achieve greater effectivity, comparing to other, more widespread methods of isolation (such as rubber legs or spikes). Another feature of Cold Ray's cones is exceptional vertical stability, even under very heavy weight. 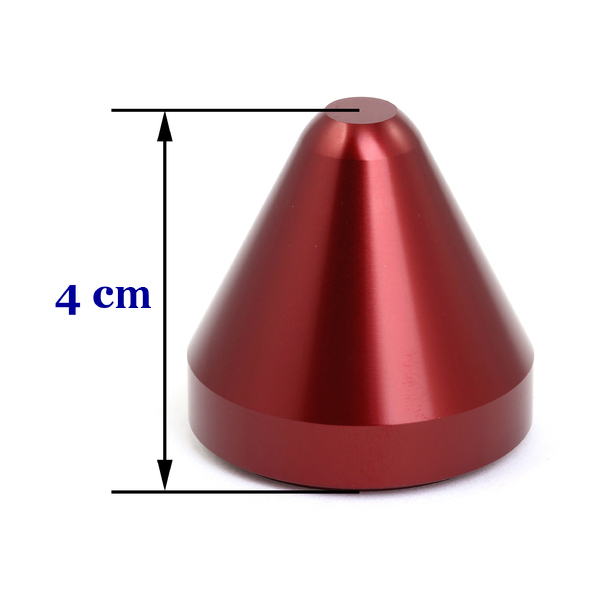 The cones are meant to be used on solid surfaces. For optimal effect, it is recommended to place the cones under equipment's most heavy parts, where mass concentration is higher. In most cases, these spots are located under radiators and transformators. For CD and DVD players it is recommended to place the cones under transportation mechanism. The effects of using Cold Ray's cones are apparent instantly: clearer, more detailed sound with richer and more balanced bass. Let your acoustic system manifest its quality without being dulled by unwanted vibrations! 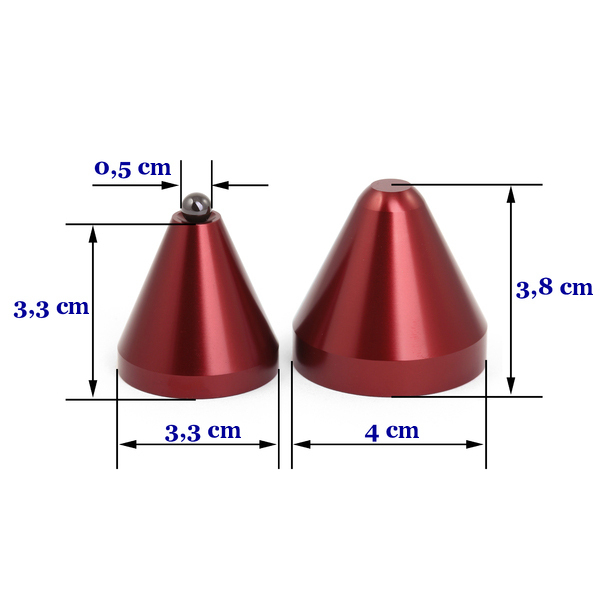 Pick a variant of the cones with ceramic or steel balls. Ceramic is known for its excellent damping qualities, what makes it a fine choice for any anti-resonance and anti-vibration device. There is also a more budget option using steel, which is also good for coping with most resonances. Cold Ray is a trademark of World Audio Distribution LLC. Copyright © 2001-2019 Cold Ray, all rights reserved.